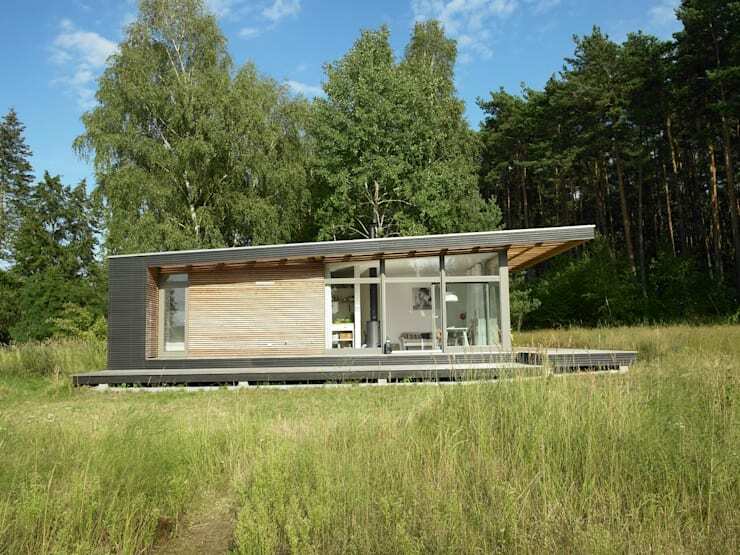 Prefabricated housing is enjoying an invigorating resurgence in interest at the moment. It's not a trend that is likely to be going away anytime soon because this kind of housing is—quite simply—the way of the future. 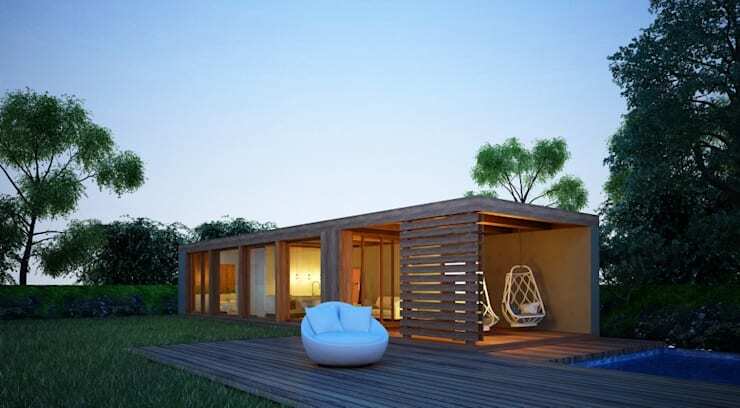 Prefab homes are much, much faster and cheaper to build than traditional construction methods. They are also incredibly environmentally efficient and allow the owner to gain a very accurate idea of the end product and the exact price. Unexpected delays and their resulting costs are traditionally one of the most common sources of stress for the home-builder and this is a very welcome development. 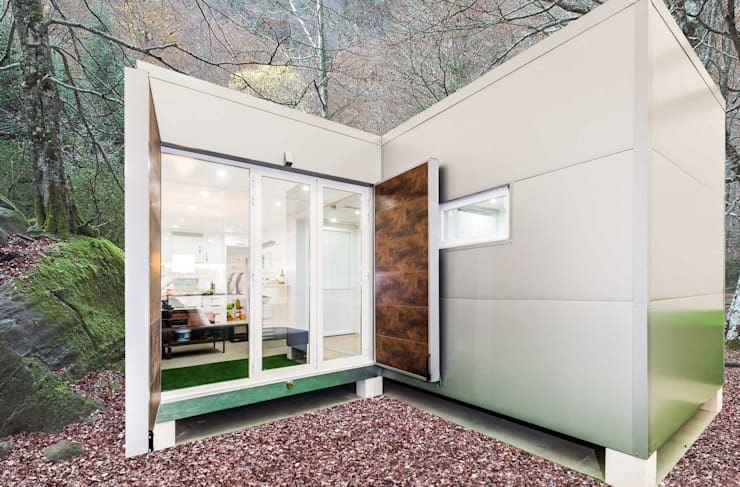 This little modern cabin certainly looks like a home of the future. It has super clean lines of sight, a steel facade and an extremely lightweight aesthetic. The minimalist design and large glass windows also allow the beautiful surroundings to form an integral part of the interior decor. Prefab homes can also be combined with classic home styles to give you the best of both worlds. This simple white cottage has a classic peaked roof, natural timber trimmings and lots of clean modern lines. Here we also get a sense of how accurate the joinery in modular homes can be. This is because the fundamental materials are designed and cut off-site. The benefit of a newly built home is that it allows one to make the most of modern industrial methods. 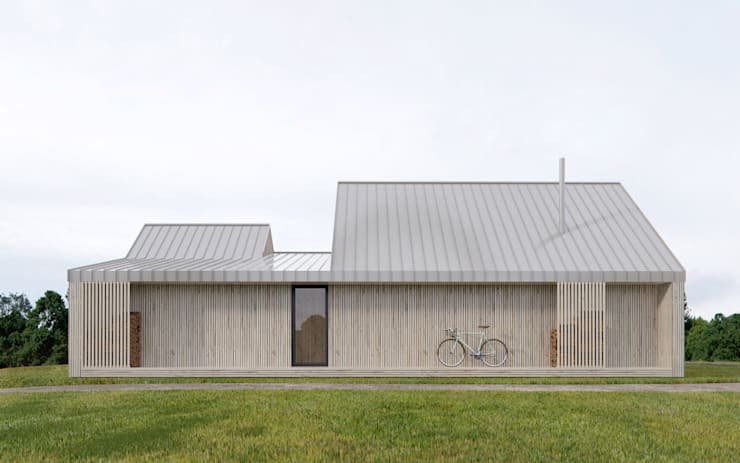 This minimalist home has a galvanised steel roof with walls made from sustainably sourced wood. The architects have created a simple design with just enough natural texture and variety to make it warm. Breaking out from the pack is definitely a lot less scary when you have sophisticated visualisation programs in which to create your home. This modern family home has a two-toned facade that offers a great deal of interest and difference. Visually, it's also rather perfectly balanced. 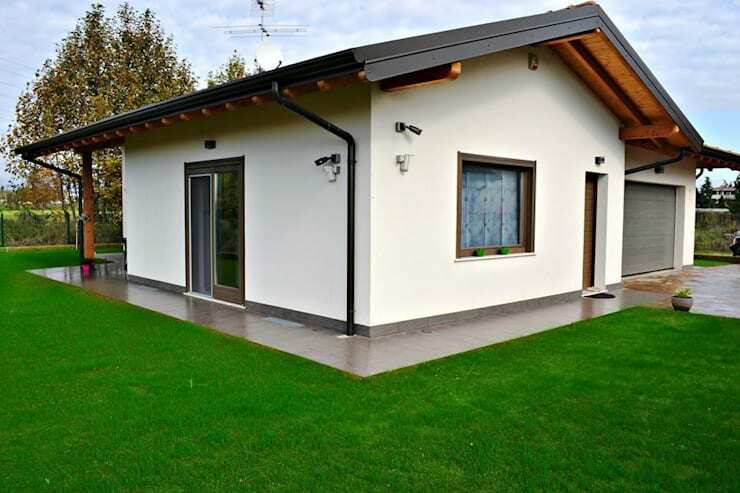 Modular and prefab homes are usually constructed as basic units that can be quite easily extended upon at a later date. This basic wooden home has a simple, box-like geometry that's perfect for this purpose. Note how the large glass walls allow for a profusion of light to enter the home. The use of timber in both the home and the outdoor entertaining area also serves to unify the two areas. A modern home does away with fiddly decorative detail. Instead, it's composed of large simple masses with lots of bold contrasts. The exterior often has a shell-like facade to create interest. 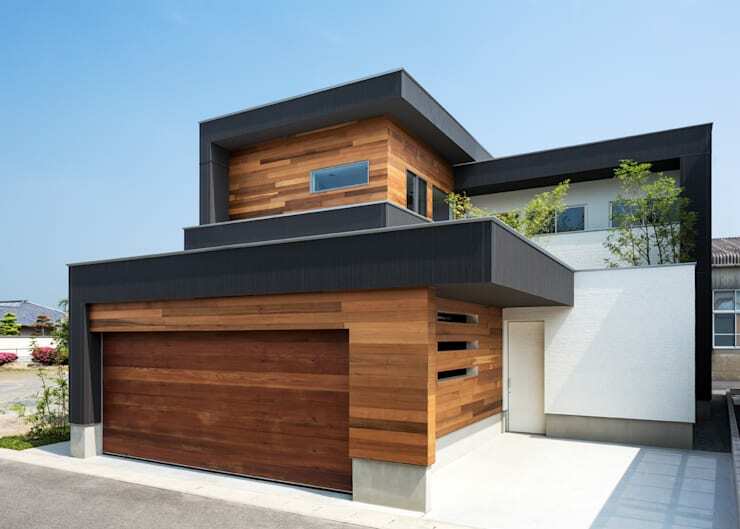 This modern timber home has just about the most perfect bold black lines. Most modular homes are built with large windows for passive climate control. This results in a home that looks and feels more integrated with the natural environment. Here we have a classic wooden home that even has the slightly sloping roof of a retro-style design. Keep exploring our archives here! 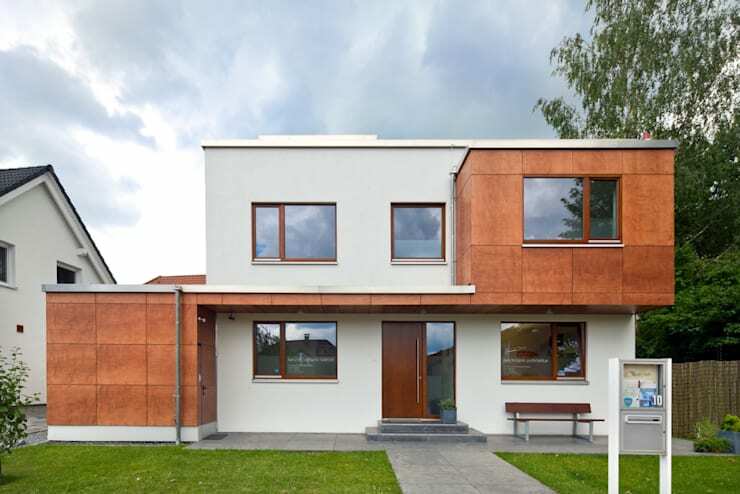 Next we have 9 modern wooden houses to inspire you to build yours. Which of these prefab homes has caught your eye?